Hello and happy Tuesday. It's time for another challenge at CASology. 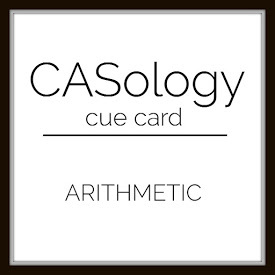 This week, our cue word is ARITHMETIC. That made me think of numbers, of course. And, addition, subtraction, multiplication, percentages, and of course, money!! I created an all white textured panel using die cut numbers and numerical symbols and added a fun sentiment from my birthday sentiment stash. Now it's your turn. 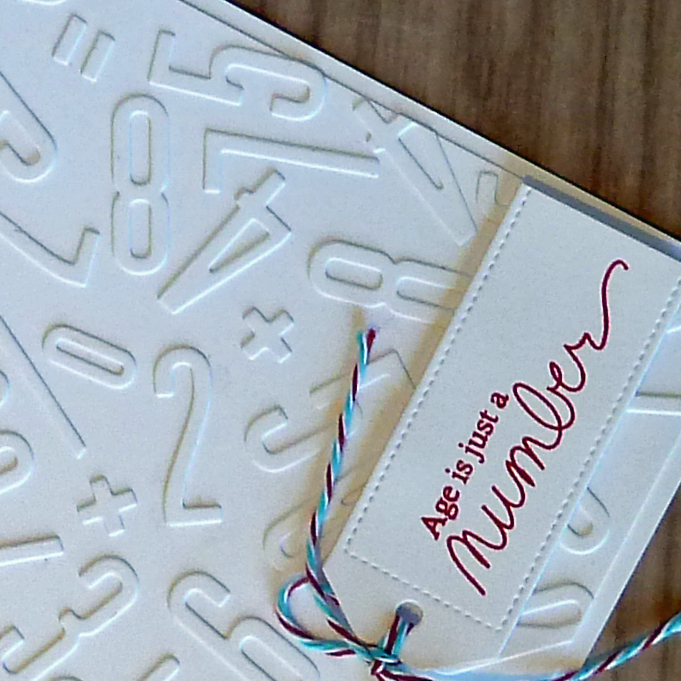 How does ARITHMETIC inspire you? I hope you play along this week. Please remember to keep it Clean and Simple. Our Guest Designer is Hannelie B.
I had to zoom in because it looked like debossed numbers, Joyce. It was a great idea to include the signs too. So terrific with the sentiment. FABulous....just love your wonderful card! 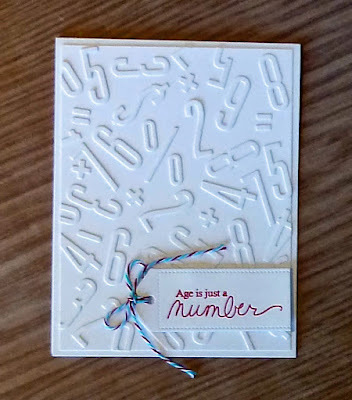 Those embossed numbers are so perfect with your sentiment! Oh my....you die cut all those??!!! Lots of work - but totally worth it! So creative and wonderful! Love it!